These superb earrings are in white metal (tests platinum). 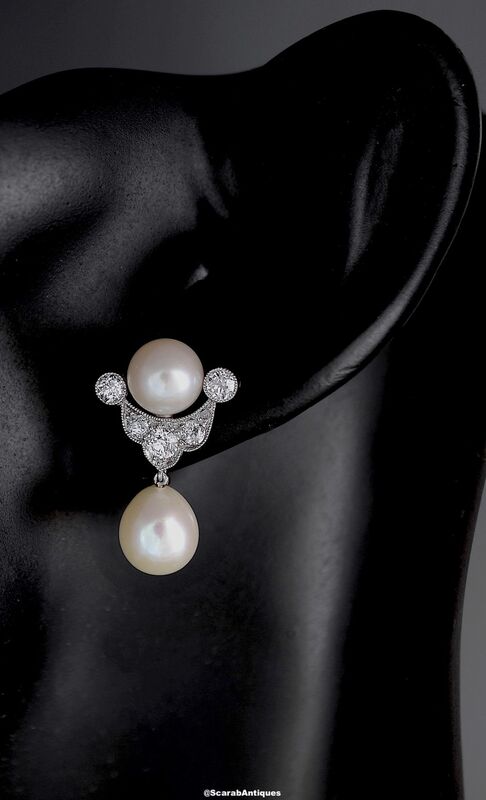 Each earring consists of a slightly crescent shaped mille-grained rubover setting continuing 6 diamonds in the middle of which is a round freshwater pearl and suspended from which is a teardrop shaped freshwater pearl. 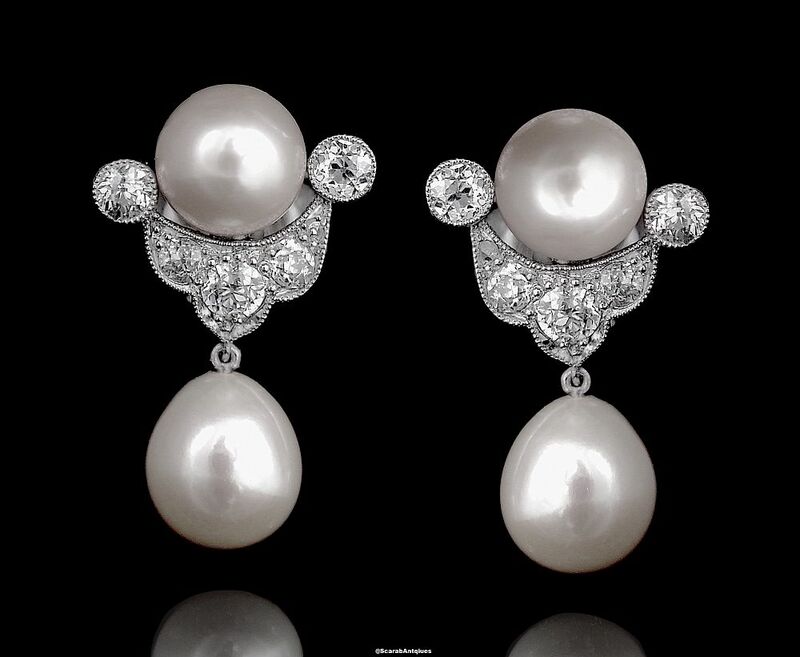 The earrings are fitted with posts for pierced ears and 18ct white gold butterflies.